Is spring coming sooner than later? I sure hope Punxsutawney Phil says so! I know winter is just starting, but many people are already counting down to spring. Are you? I’m not yet, but it won’t be long. I will be on the “no shadow” team hoping spring is coming sooner rather than later. The town of Punxsutawney, PA celebrates Groundhog Day in a very public way. The town gathers on February 2 to see whether or not Punxsutawney Phil will see his shadow. According to legend, if he doesn’t see his shadow, spring will come early. If Phil does see his shadow, he’s going to head back into his burrow , and winter will stick around for another six weeks. 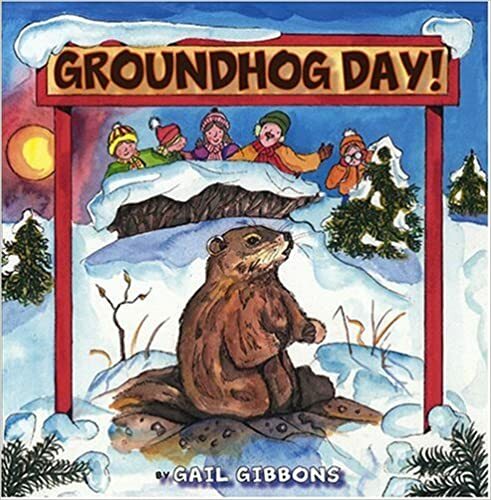 Celebrate Groundhog Day with your young learners and this fun collection of hands-on activities and printables. ABC Order: Practice putting words in ABC order to the first letter. Characteristics: Use describing words (adjectives) to describe the groundhog. Crack the Code: Decode the secret message. Handwriting Practice: Practice writing the letter Gg in print and in cursive. If you laminate these pages, kids can use them over and over again. How Many Words: How many words can your student spell with the letters in Punxsutawney Phil’s name? Notebooking Page: These pages are perfect for creative writing or research. Vocabulary: This page features 6 words, space to define each one, and lines for writing a sentence with each word. Word List: This word list is perfect for creative writing, more vocabulary study, and even for a themed spelling list. Word Search: Kids will hunt for words related to Groundhog Day. Make these tasty groundhog day cupcakes. Teach your little ones I’m a Little Groundhog or Mr. Groundhog. Make a pop-up groundhog puppet with household items. 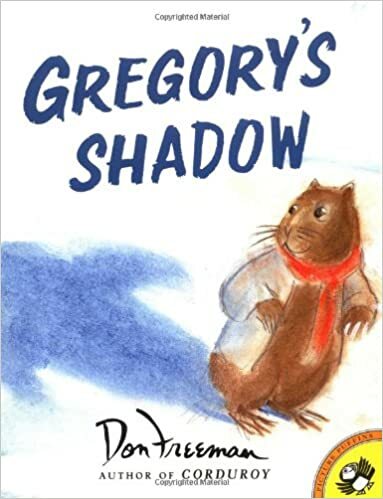 Here’s a fun groundhog shadow art project young students will enjoy. Use cupcake liners to complete this fun groundhog project. Click on the images below to learn more about each book. 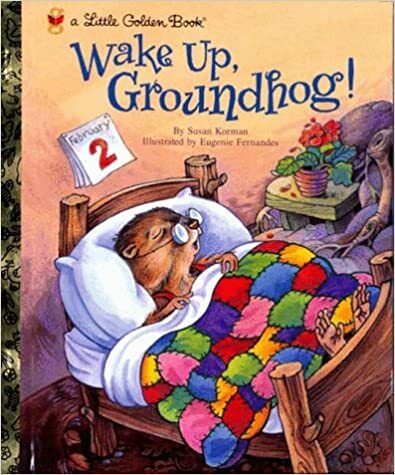 Wake Up, Groundhog! Grumpy Groundhog Gregory’s Shadow Groundhog Day! 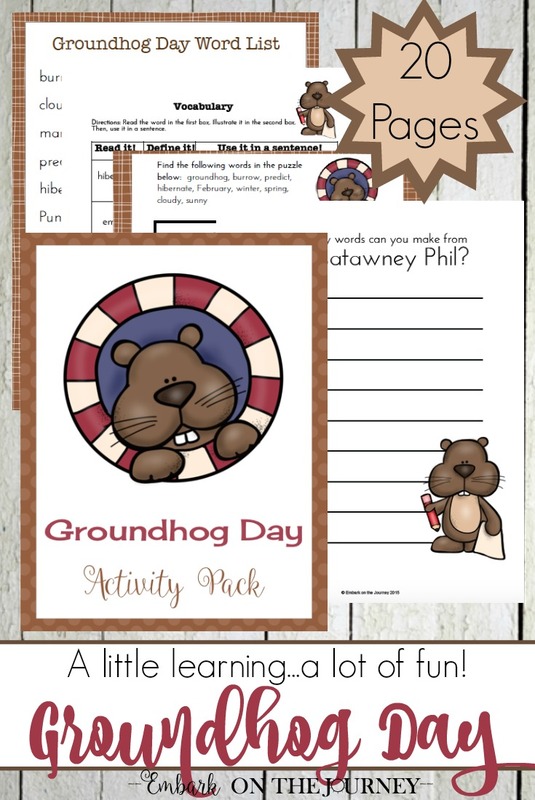 This Groundhog Day printable pack is only available to my readers. Enter your information below, and then check your email for the link. Be sure to open the link on a PC or laptop as it won’t open properly on a smartphone or tablet. Yay! I am so glad you enjoy these printables! 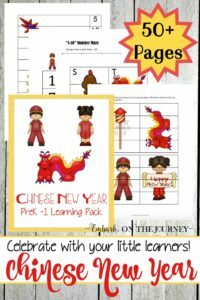 If you are interested in more articles and printables designed specifically for preschoolers, be sure to check out my other blog at HomeschoolPreschool.net . Oh my word that little groundhog is adorable, but it’s hard to believe Groundhog Day is only 2 months away. 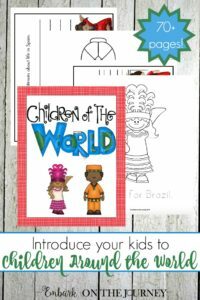 Thank you for sharing your printables with us at the Over the Moon Link Party. Merry Christmas! What a great collection 🙂 Thanks for allowing me to share in my Groundhogs day roundup! This is really neat. Sometimes I find it hard to incorporate teaching the holidays like this one. It’s not that I don’t want to, it just sneaks up on me and I end up not having anything interesting for the kids to do. This will help a lot! Thanks! I found you through the Mamas Moments Monday linkup. These make me wish my daughter was young again. We would have loved using them. I got it!!!! I love it!!! Thanks a bunch!!! This is a neat . 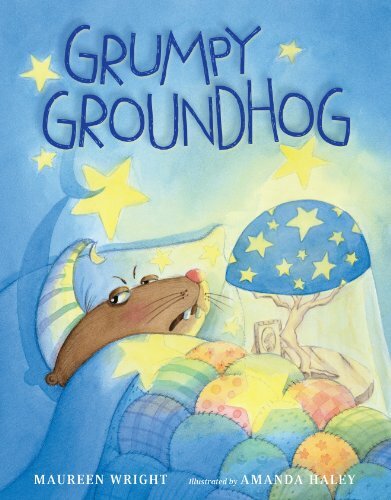 It is hard to find worksheets on Grounhog’s Day.